Well after taking the summer off to enjoy with my family, I am ready to get back into the swing of things! What better way to start than to share with you a list of my favourites from the 2015 Holiday Catalogue. It was hard not to pick everything, the whole catalogue is chalked full of so many beautiful things. Contact me today to see one for yourself. Or check it out online. 1. 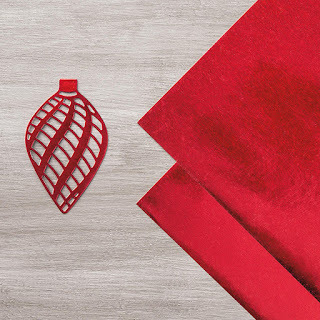 Cozy Christmas – page 9 - $33.00 (wood mount) or $23.00 (clear mount). 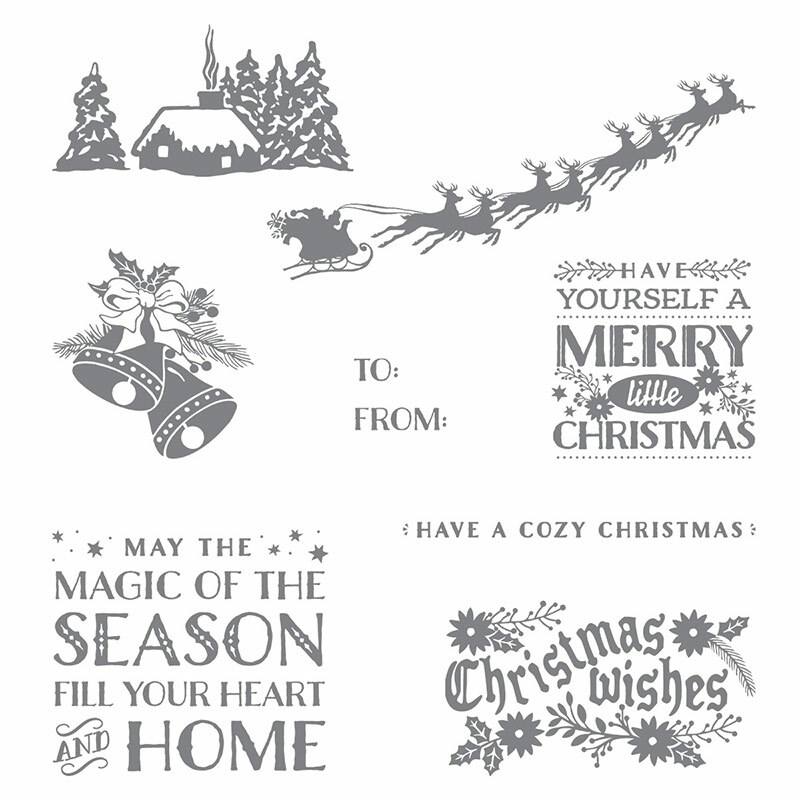 Give your Christmas projects some vintage flair with this gorgeous 8 piece stamp set. It coordinates nicely with the Home for Christmas DSP and other accessories also located on page 9 of the Holiday Catalogue. 2. 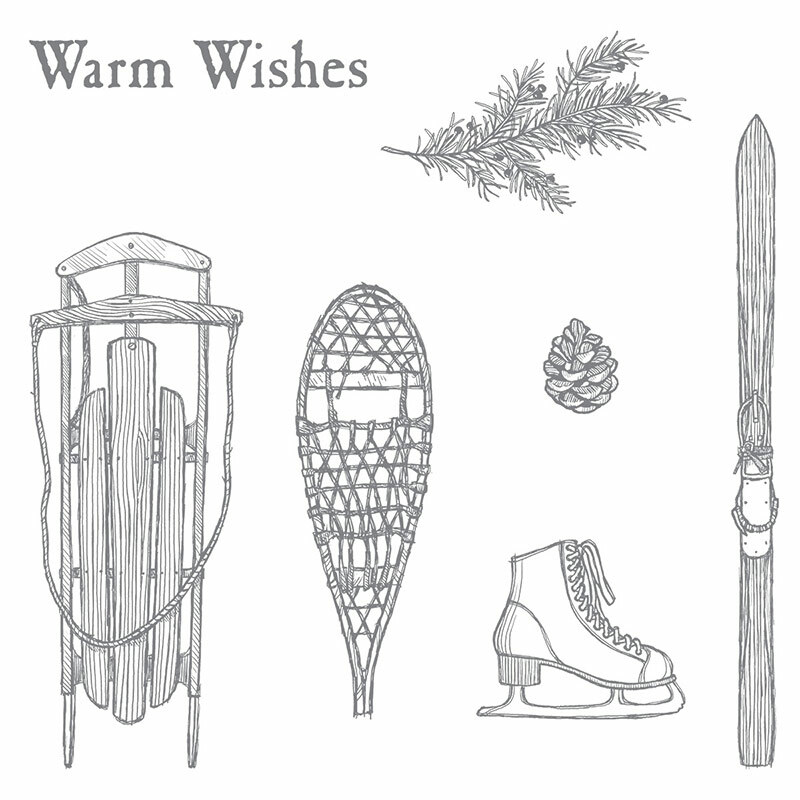 Winter Wishes – page 13 - $31.00 (wood mount) or $22.00 (clear mount). This cozy 7 piece set pairs nicely with neutral paper (think Crumb Cake, Early Espresso and Whisper White) and hints of some masculine accents (Old Olive Lost Lagoon). 3. 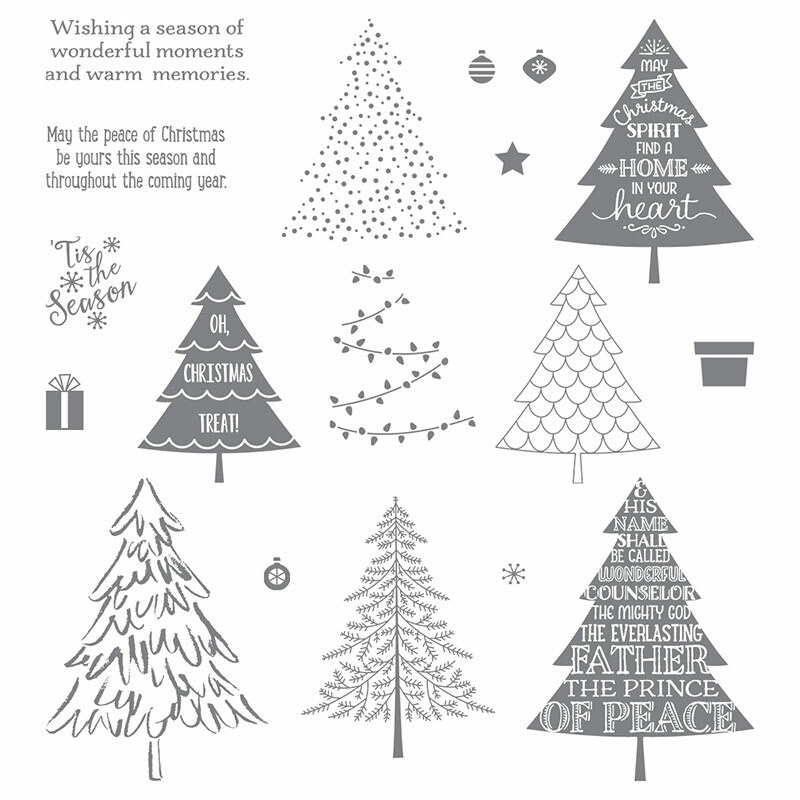 Peaceful Pines – page 17 - $32.00 (photopolymer). 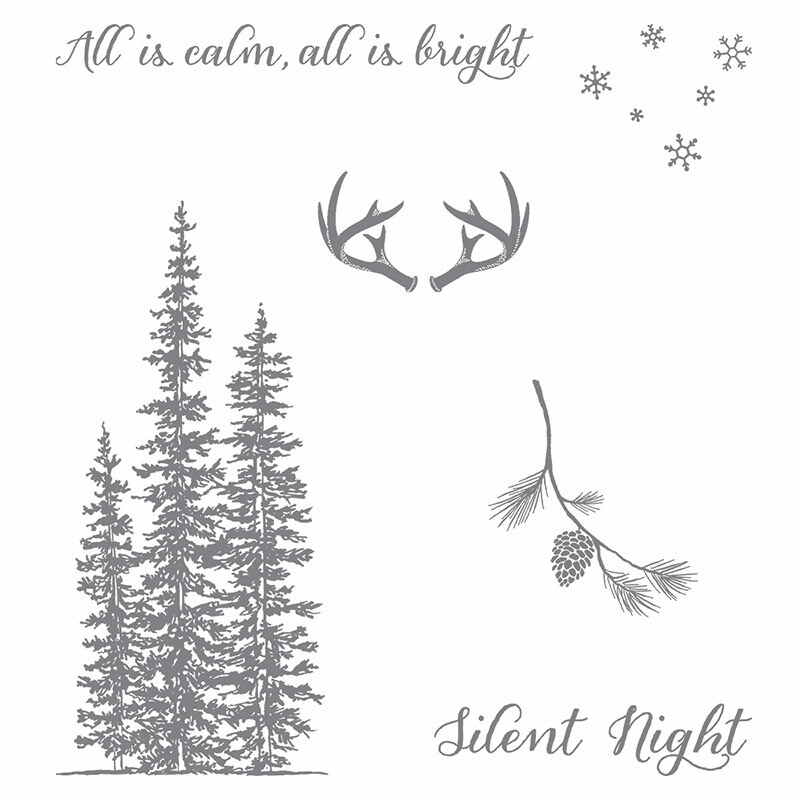 This gorgeous 17 piece stamp set includes 8 different designs of Christmas Trees and is made to perfectly coordinate with the Perfect Pines Framelit Dies (buy both together and enjoy a 15% discount). There are so many possibilities with this set! 4. Wonderland – page 23 - $28.00 (wood mount) or $21.00 (clear mount). 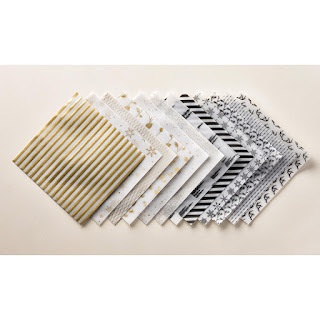 This 6 piece stamp set has a very masculine feel so it but can be prettied up with some of the gorgeous coordinating Specialty DSP and Designer Vellum (not to mention metallic and wooden embellishments and of course Washi Tape). 5. 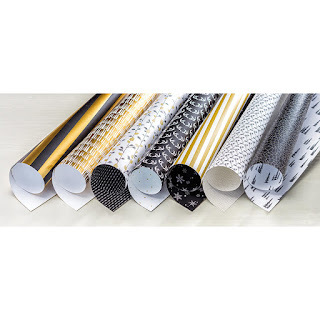 Acorny Thank You – page 45 - $18.00 (photopolymer). This 10 piece stamp set has such a cute element to it! And of course it is made even better with the coordinating Acorn Builder Punch (purchase both together and enjoy a 15% discount). 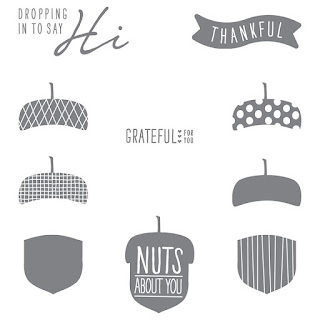 There are so many different options for this set, the perfect fall card or just a cute way to say thanks! 1. Home for Christmas DSP – page 9 - $13.75. I love love love this paper! 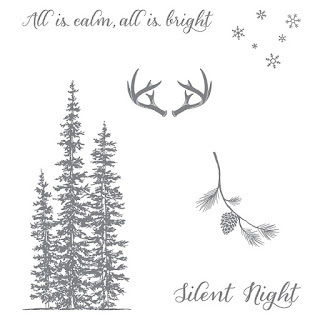 It coordinates with the Cozy Christmas Stamp set and it is just so absolutely adorable, I can definitely see myself buying and hoarding a ton of it! If you’re attending any of my holiday workshops be prepared to see a lot of it. 2. Winter Wonderland Specialty DSP – page 23 - $16.00. This paper is absolutely beautiful. It has black and white and just the right amount of shimmery gold. 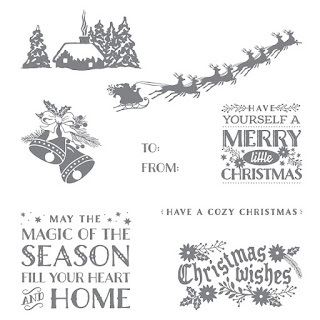 It coordinates with the Wonderland stamp set and will add the perfect amount sophistication to your holiday projects. 3. 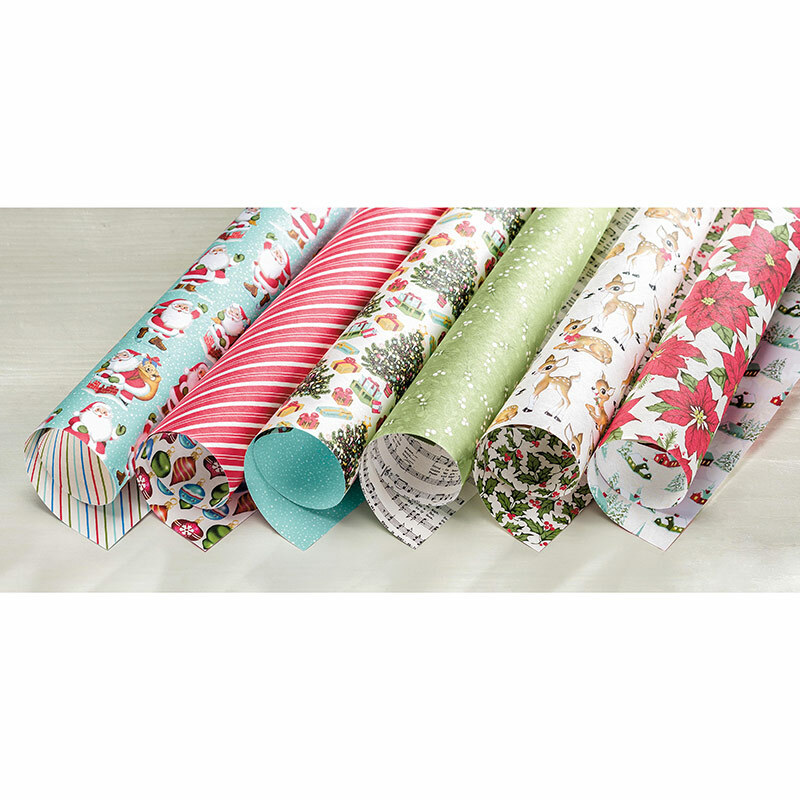 Winter Wonderland Designer Vellum Stack – page 23 - $12.50. 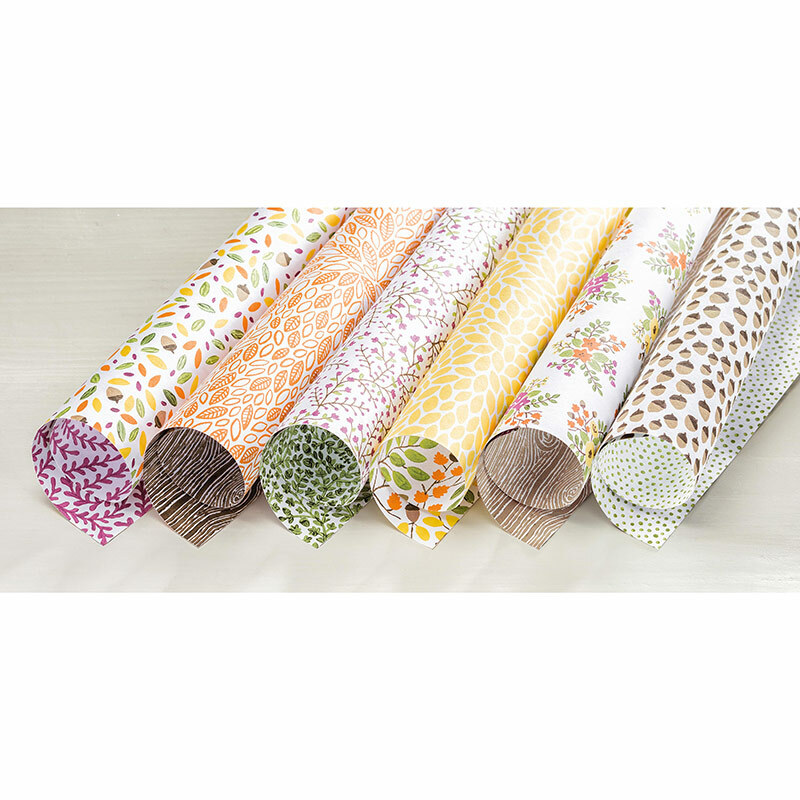 Equally as gorgeous as the Specialty DSP this adds a little extra to your projects, because after all who doesn’t love a little designer vellum. 4. Into the Woods DSP – page 43 - $13.75. This paper has the perfect little bit of fall to it. 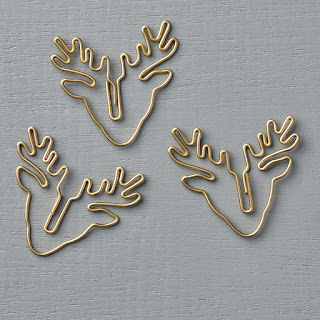 It coordinates with the Thankful Forest Friends stamp set but also pairs wonderfully with Acorny Thank You. 1. Oh What Fun Tag Project Kit – page 5 - $26.00. 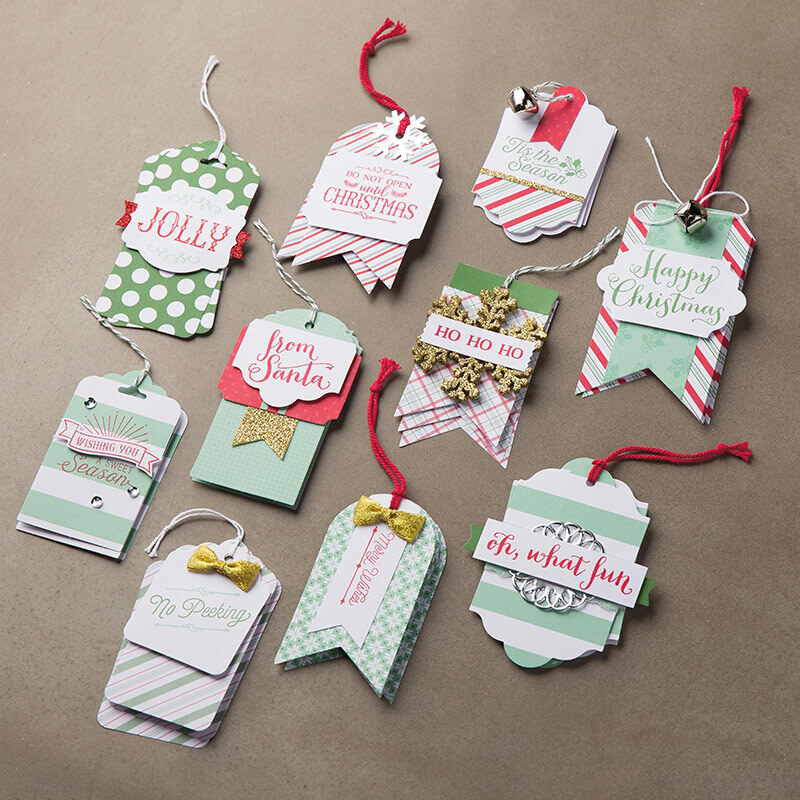 This kit has all the supplies to make 30 Christmas Tags for all your gift giving needs this holiday season. And they are so cute! The Oh, What Fun stamp set (also located on page 5, $26.00) coordinates perfectly (hmm, you’d think they did that on purpose). If you attend my December Stamp class we will be making these suckers! 2. 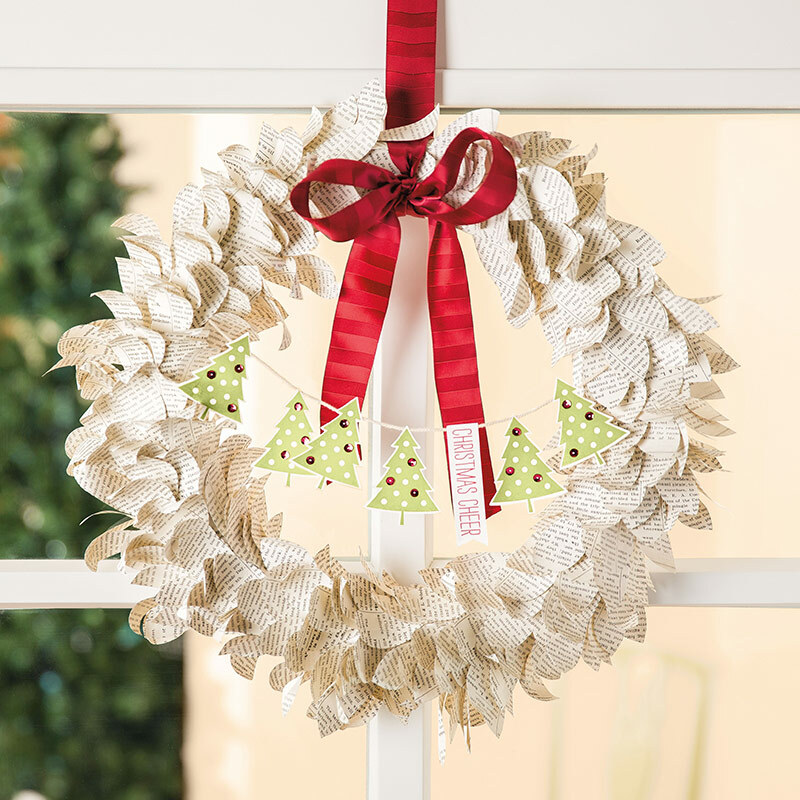 Season to Season Wreath Project Kit – page 6 - $33.25. This kit includes all the materials to make a beautiful 3 with 3 interchangeable banners (Christmas, Halloween and Fall). Such a smart idea, make a beautiful wreath that lasts you 3 seasons by just changing a few accessories. 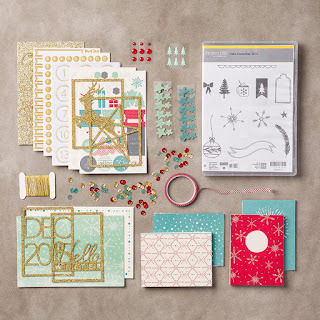 The Cheer to You (also located on page 6, $31.00) stamp set coordinates with this project kit. Why not find a few friends, purchase one stamp set and all get together to make this beauty. 3. 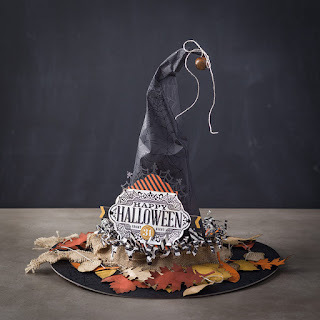 Witching Décor Project Kit – page 7 - $27.25. This kit includes the materials to make one very scary Witch’s Hat Centre piece. The Witches Night (also located on page 7, $32.00) is the perfect addition to complete this project. 4. Hello December Project Life Bundle – page 37 - $43.25. 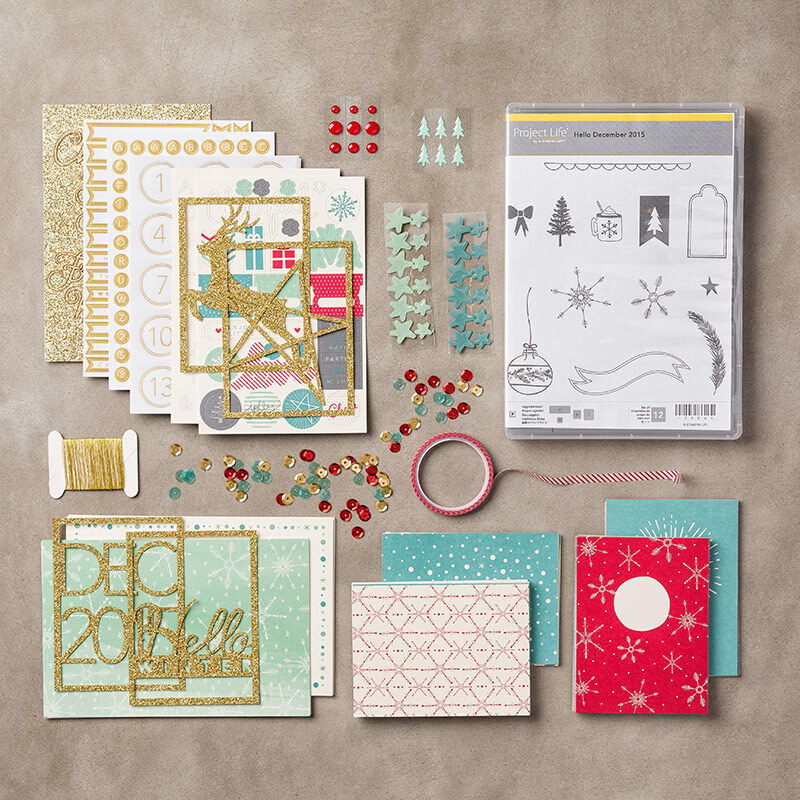 This Project Life bundle includes a stamp set, card collection and accessory pack. It is the perfect way to preserve your holiday memories or even add to cards. 1. 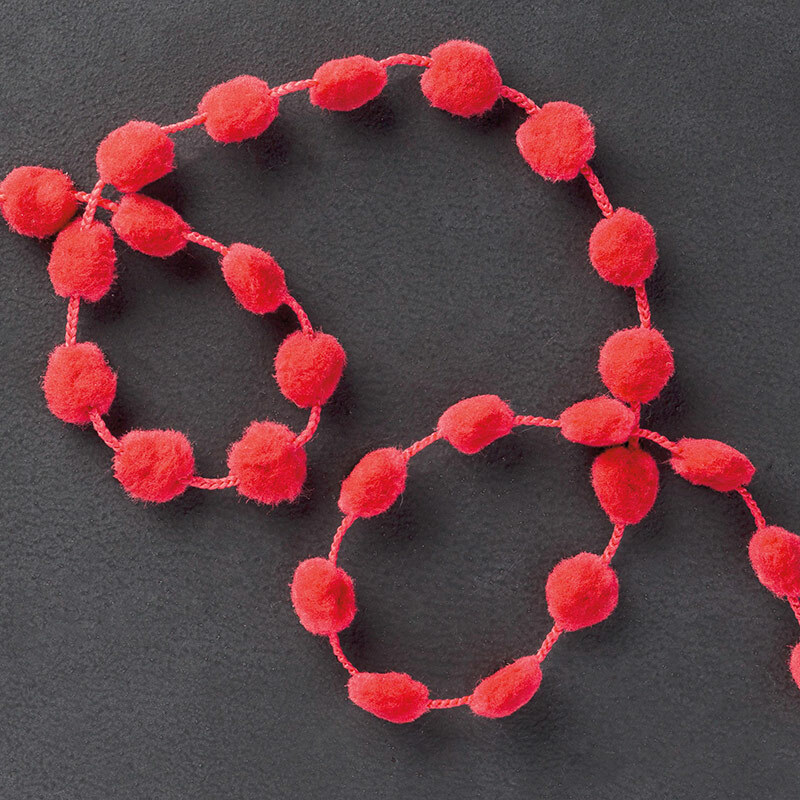 Real Red Pompom Trim – page 9 - $7.50. 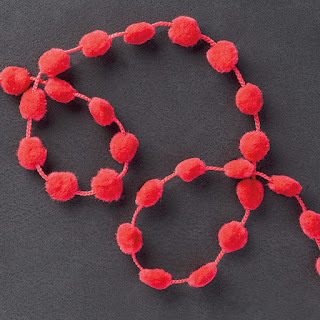 For Christmas projects, or really projects anytime of year, this stuff is super cute and adds the perfect touch! 2. 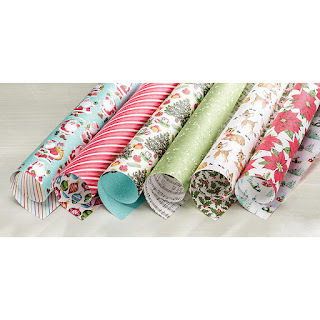 Winter Wonderland Designer Washi Tape – page 23 - $6.25. 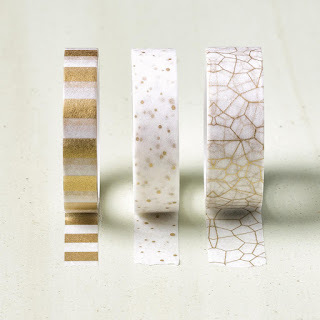 I love anything Washi. I use it on my cards, wrapping my presents and when organizing my planner. Honestly the list is endless. 3. Red Foil Sheets – page 26 - $5.00. 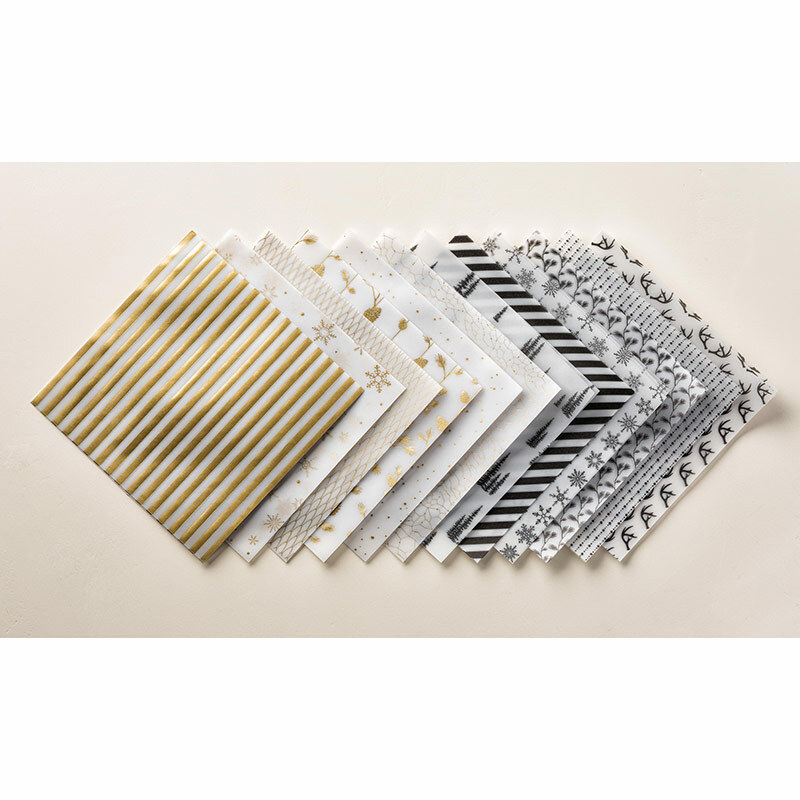 Add the perfect bit of shimmer to your projects, or line your envelopes with this stuff. So pretty. 4. 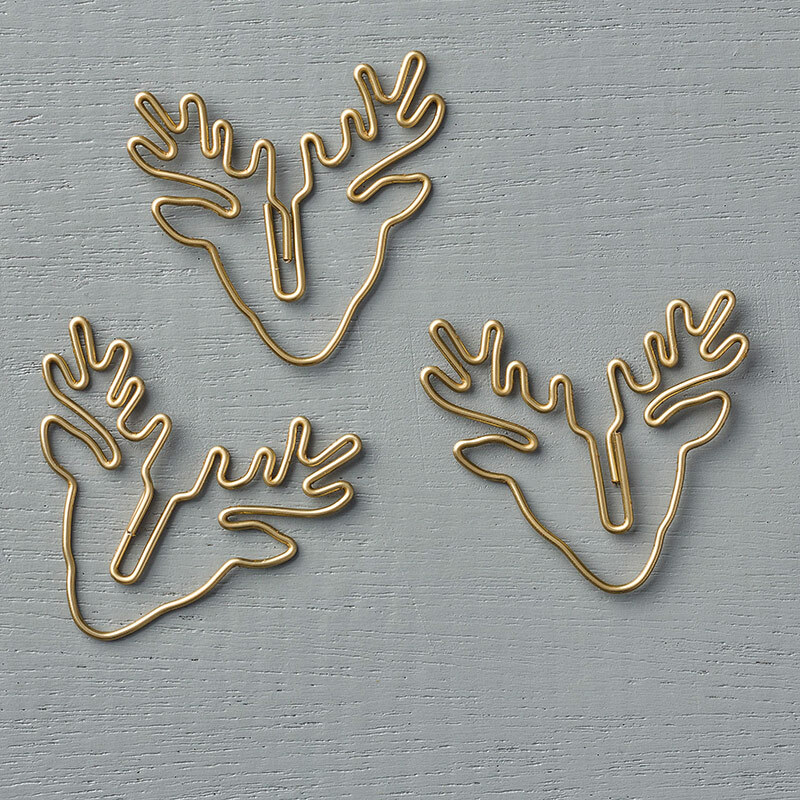 Reindeer Paper Clips – page 27 - $5.00 Need I say more? Add to your cards, your scrapbooks, or even that stack of boring papers at the office…everything could use a little holiday cheer! 5. 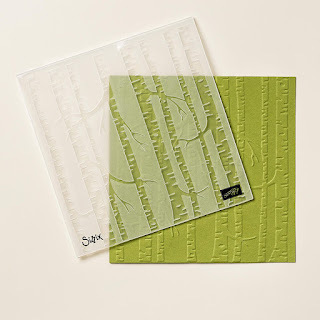 Woodland Textured Impressions Embossing Folder – page 39 - $10.50. This embossing folder is perfect for Halloween or Christmas Cards alike. Changing the colour of your paper and accessories can completely change the look. Try adding a little ink to the folder before embossing for a completely different look. Well there you have it folks! My favourites. Stayed tuned in the coming weeks for some great projects using some of my favourite items from the holiday catalogue. And don't forget to get your hot little hands on a catalogue and take a peak to pick out your favourite items!